We make ‘em pretty; Nana made them after the pizza fell in a heap. 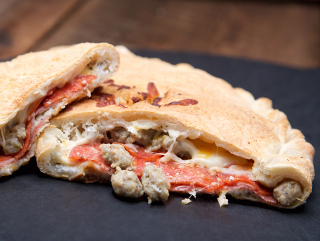 A bubbling pizza turnover. 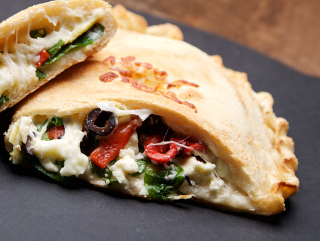 Most calzones are made with our creamy ricotta & other cheeses. 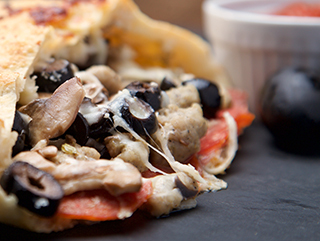 The house special…pepperoni, salami, Italian sausage, fresh mushrooms, black olives & marinara. Feta, spinach, artichoke hearts, red peppers, olives, green onion & tomato. Great taste. Eastern appeal. 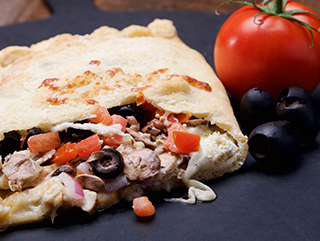 A garlic-garlic white sauce, garlic chicken breast, onions, fresh mushrooms, black olives & tomatoes. Not a veggie person? 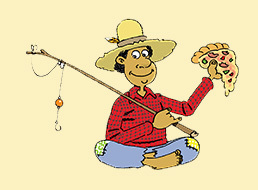 How about Canadian bacon, salami, pepperoni & Italian sausage?